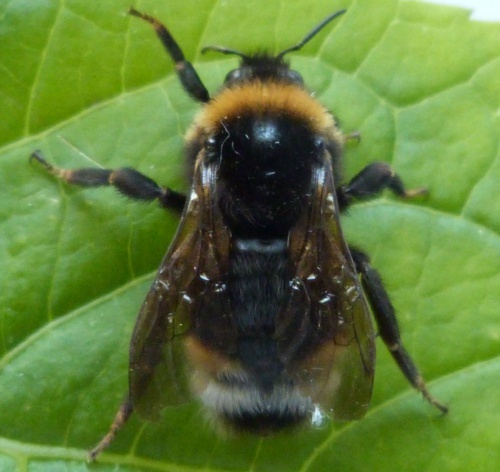 Female length: 20-24 mm Male length: 15-19 mm [12 antennal segments = female /13 = male]. 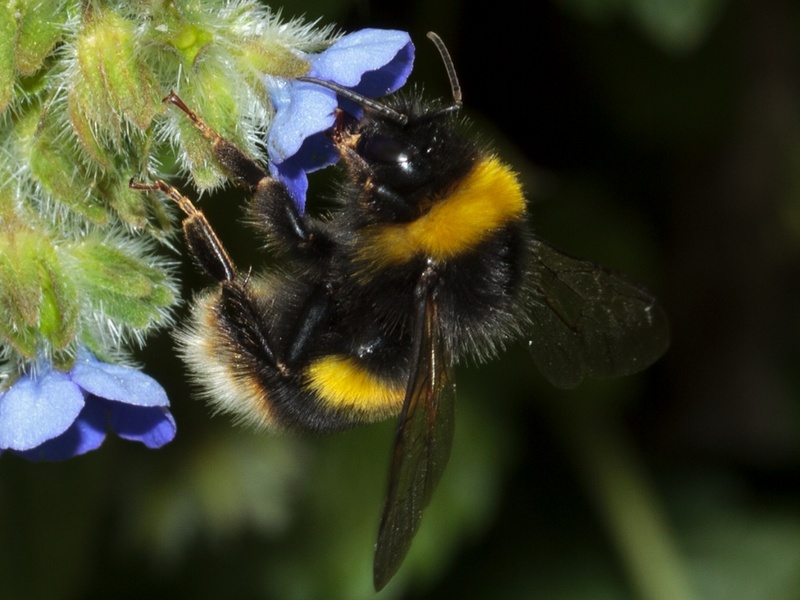 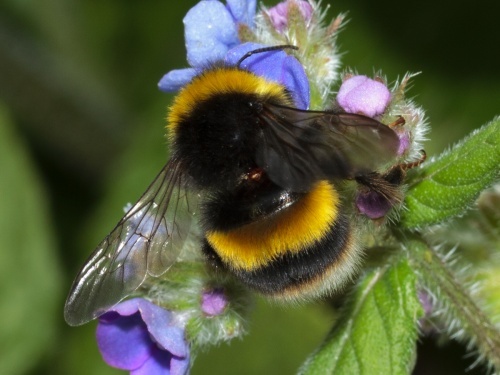 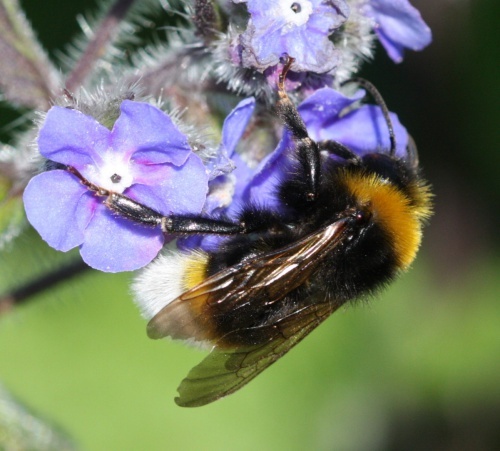 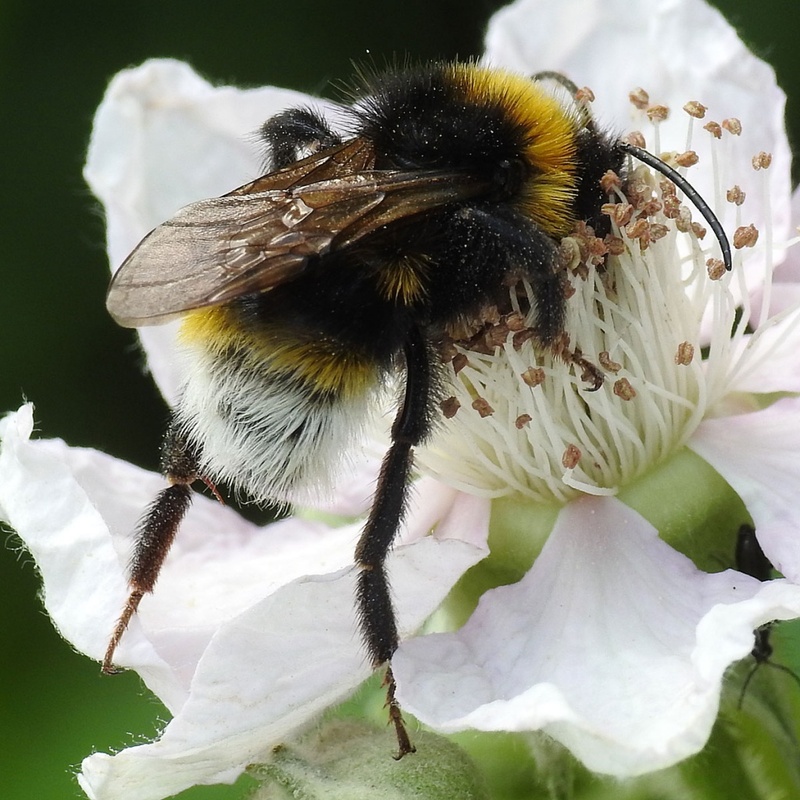 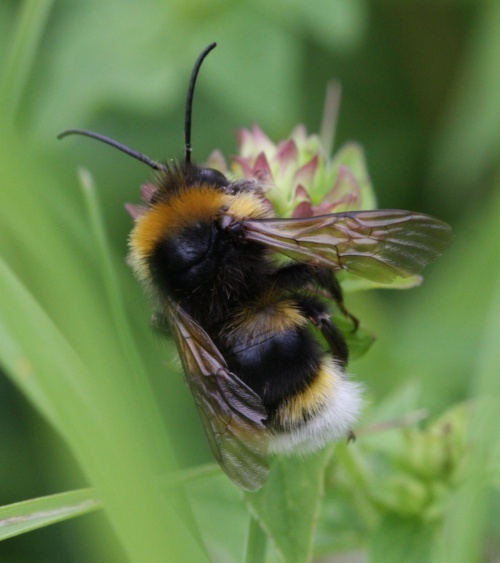 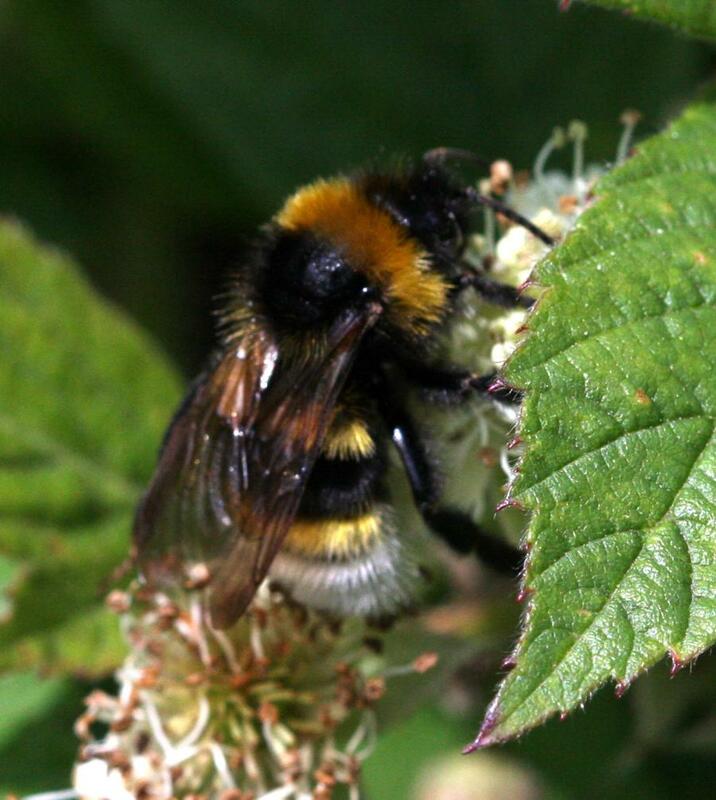 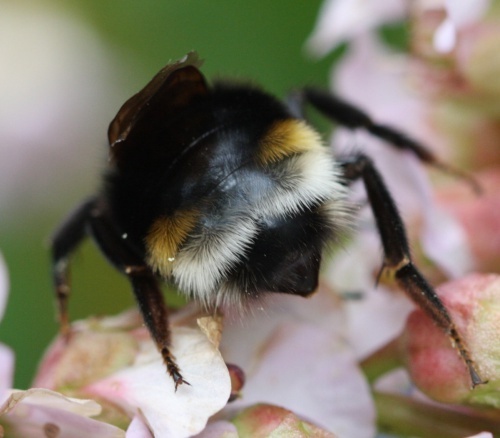 Cuckoo Bumblebees are identified by the lack of pollen baskets on the legs and they usually have tinted wings. Cuckoo bumbles tend to have less dense hair [shiny thorax & abdomen] and their cuticles are thicker to withstand stinging by the host bumbles when they invade a colony. B. vestalis is very similar to B. bohemicus, though in Leicestershire and Rutland B. vestalis is much more common. 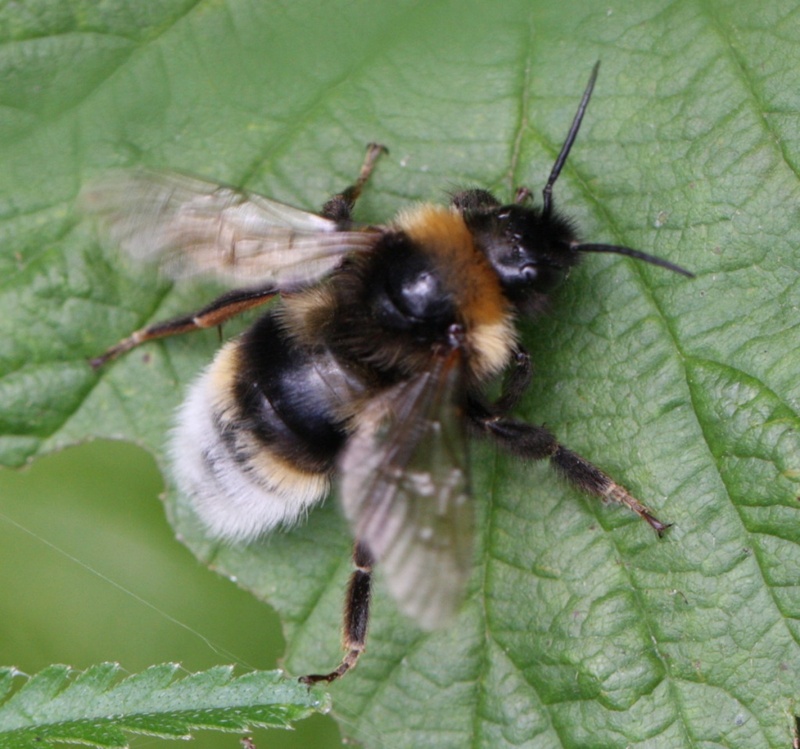 They can be separated by the antennal segments (clearly needing a good photo to do so):- if segment 3 equals the length of segment 5 = B. bohemicus; and if 3 is shorter than 5, then it is B. vestalis. 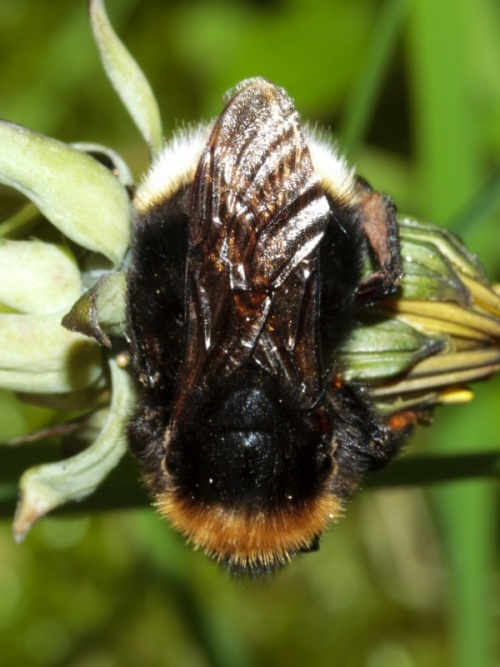 B. vestalis parasities Bombus terrestis so closely mimics this species and therefore has a darker yellow band on the thorax, wheras B. bohemicus has a paler yellow band to mimic its host species - Bombus lucorum. 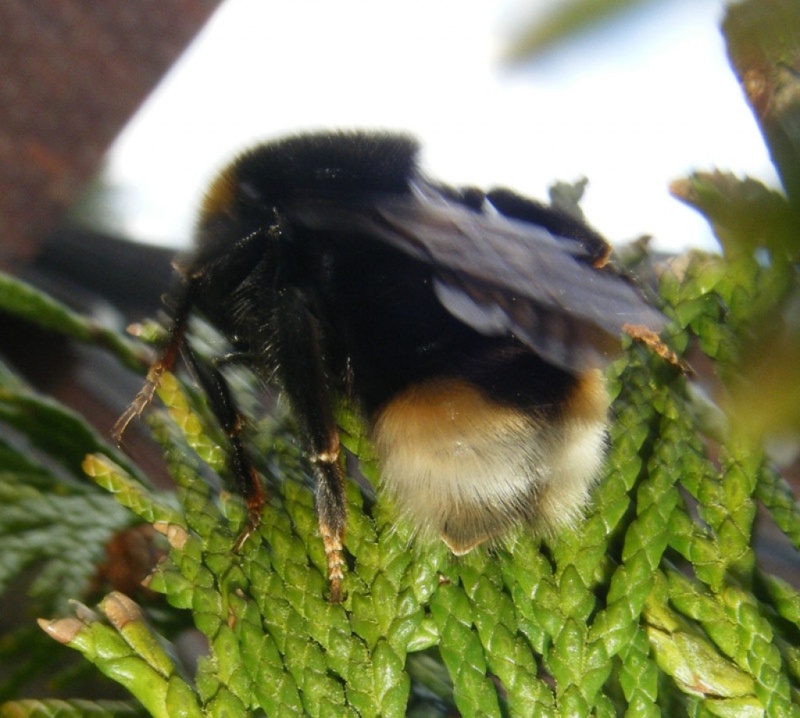 Takes over the nest of Bombus terrestris. 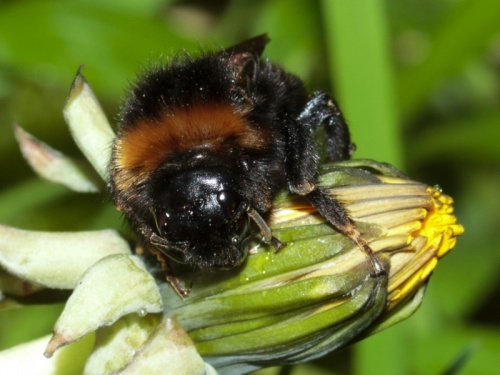 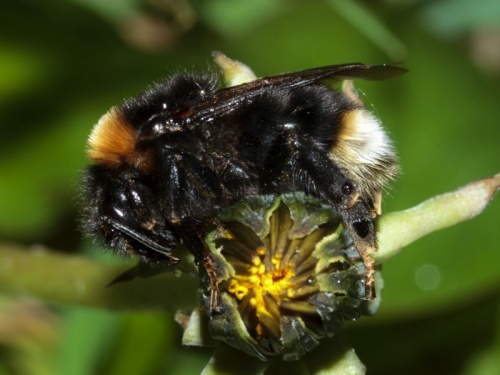 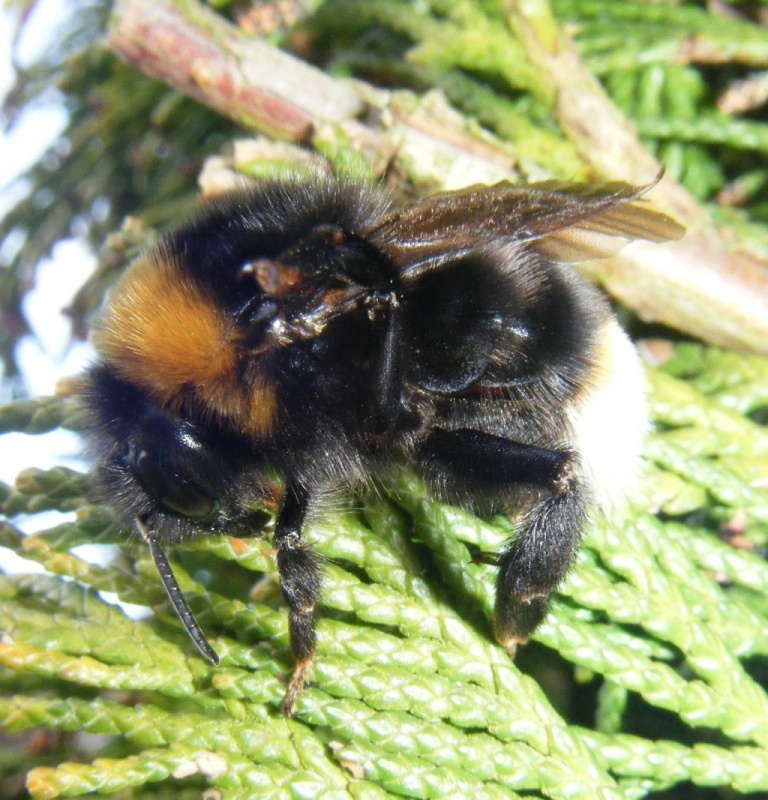 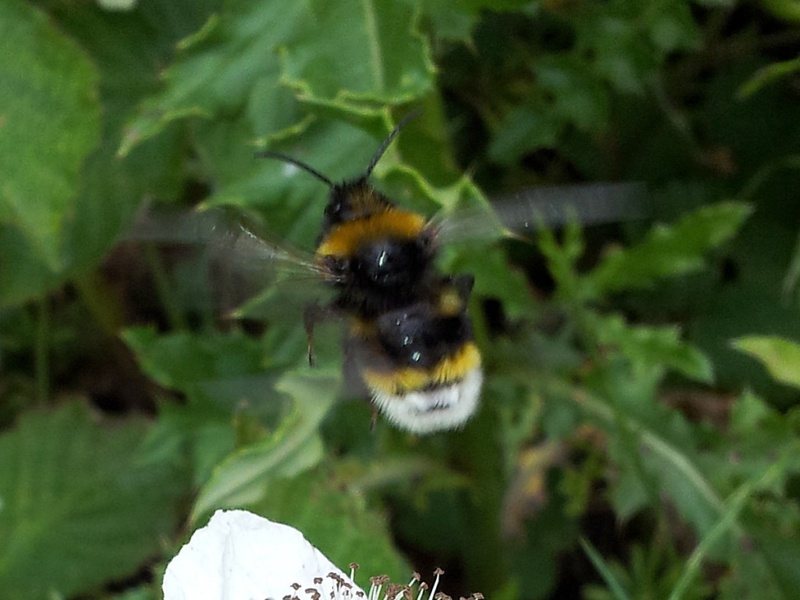 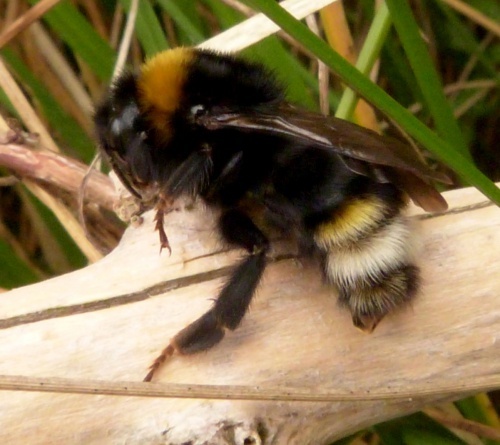 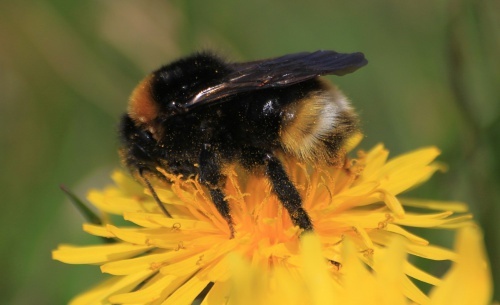 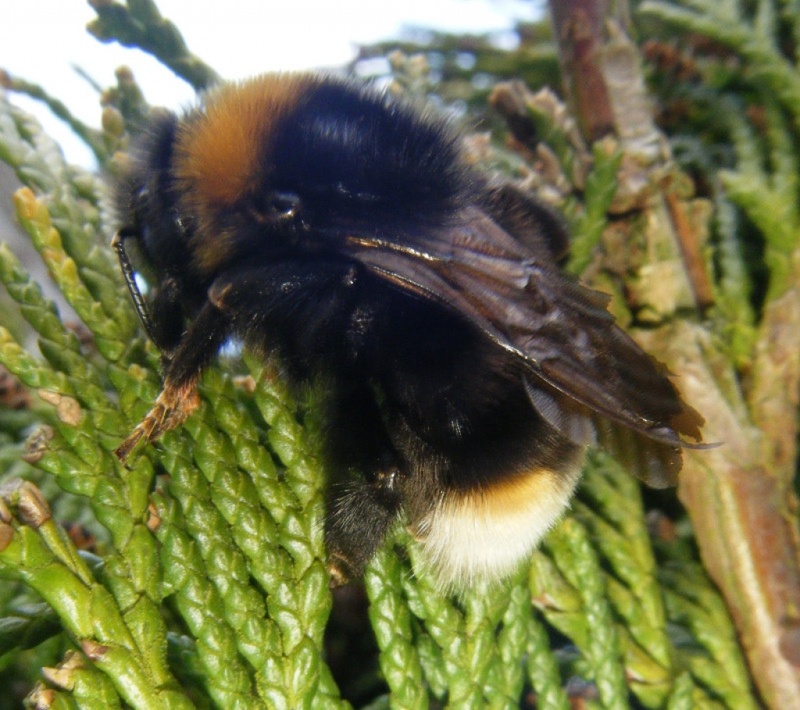 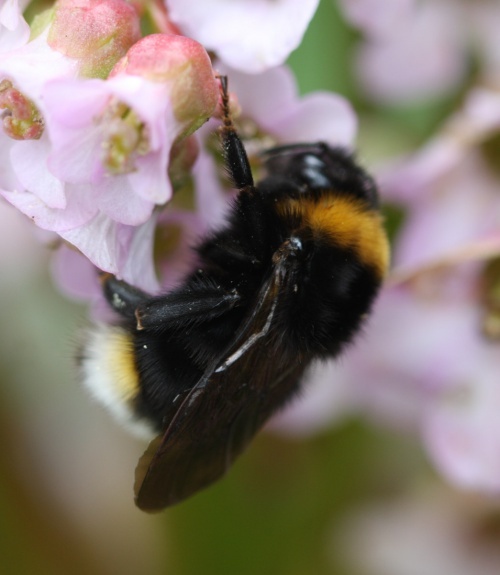 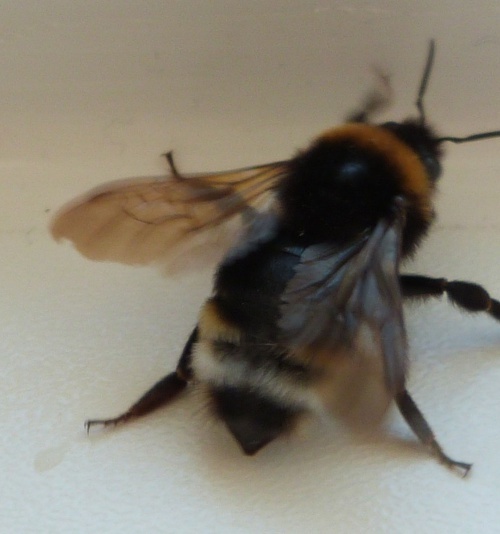 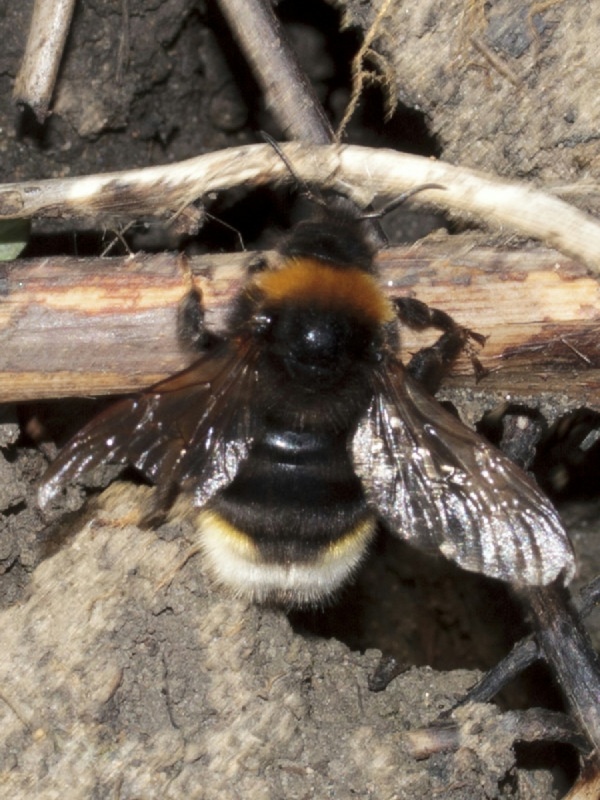 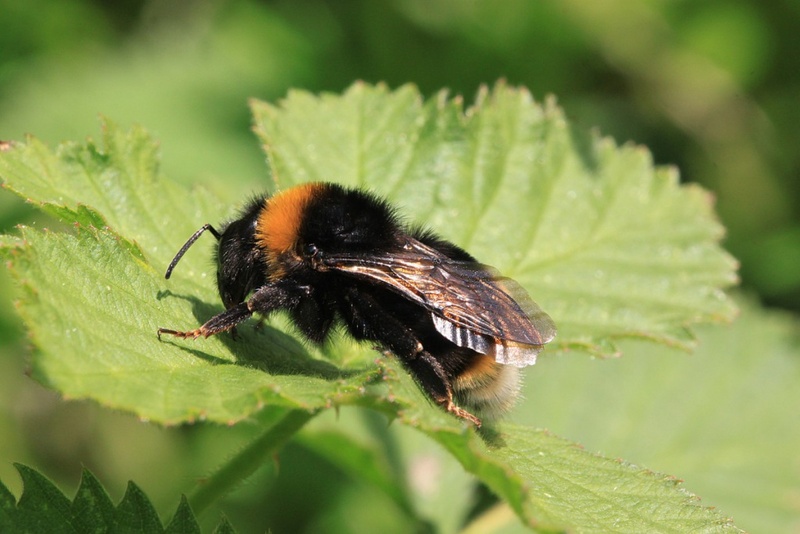 The female enters the nest and kills the queen, then laying her own eggs to be reared by the Bombus terrestris workers. Mated female cuckoo bees hibernate through the winter and emerge in the spring later than their hosts. 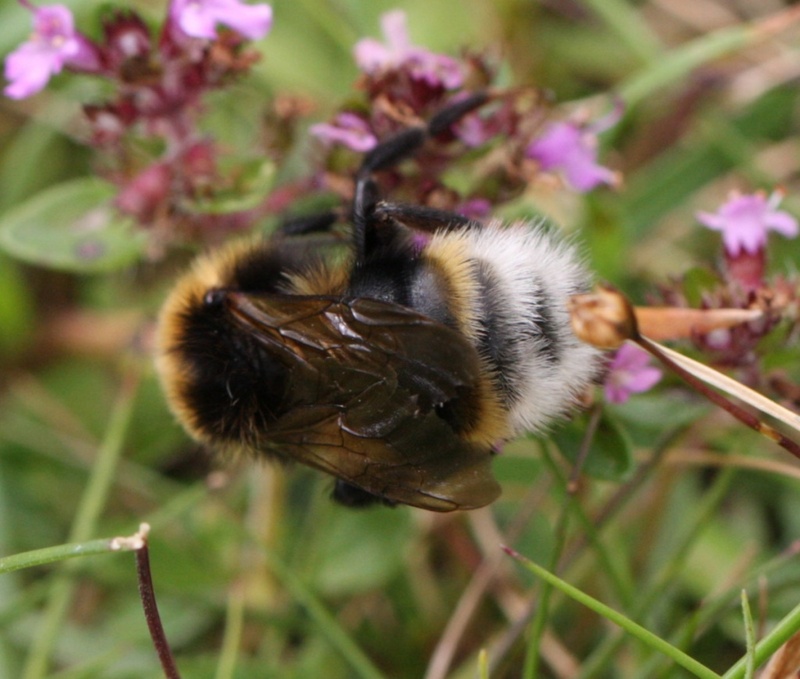 Common in central and southern England, fewer records from elsewhere in Britain.